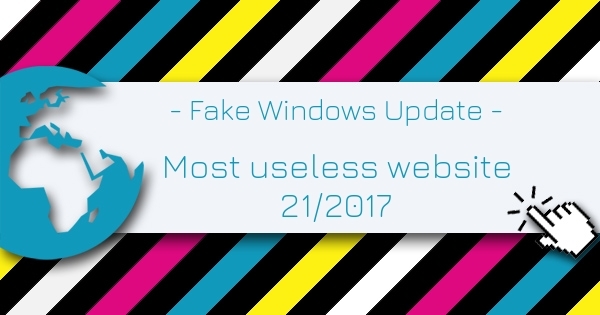 Fake Windows Update is the Most Useless Website of the week 21 in 2017. It's prank time! Fool your friends, family and colleagues with this fake windows update screens. Choose between Windows 98, Windows XP, Windows Vista, Windows 10 or other Windows version. You can also select a screen for WannaCry ransomware virus or Steam.